One of the most delicious snacks to munch in is boiled peanuts. The procedure of boiling peanuts might take quite some time but the process is easy. 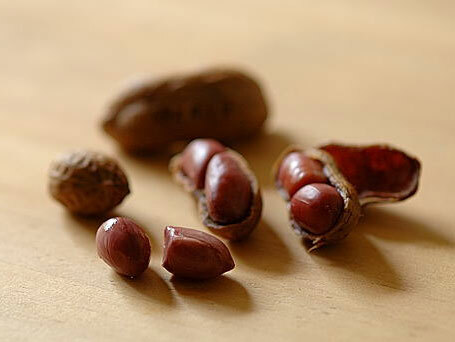 Basically, there are two ways of which you can boil peanuts. First is the use of crock pot while the second one is through using a stove with the use of a large pot. If you want the boiled peanuts done faster, you need to use the stove but this needs more effort on your part. If you are more willing to wait and do not want to hassle, you use the crock pot in boiling the peanuts. Put 1 pound of peanuts (raw and shelled) inside the crock pot. Fill the pot with water. You must continuously fill the crock pot because the raw peanuts will absorb most of the water. After which, you must let the peanuts get soak for about 8 hours. Then, drain the water out of the pot. Take off the skins from the peanuts and put them back to the pot. Then, fill in the pot with water and add 4-5 tbsp. of salt. You can put less or more salt, it depends upon your preference. For 8 hours, you must cook the peanuts on low temperature. After which, cook the peanuts at a high temperature and do this for about 90 minutes or so. Then, drain the peanuts and let them cool for about 10 minutes and serve. Put 1 pound of peanuts (raw and shelled) inside a pot. You must use the largest you could ever find in your kitchen. Fill up the pot with water until it reaches the top. You must continue to filling up the pot with water since peanuts do absorb the water. Then, you can add 4-5 tbsp. of salt. On a high heat, cook the peanuts. Then, put on the lid of the pot. Wait till the water comes to a boil. When it starts boiling, slowly reduce the heat. If it’s needed, add more water to the pot. Cooking time will be approximately 4 hours. After the allotted time, get a piece and take off the shell to check whether the peanuts are already cooked or not. If they are done, you drain the peanuts and let them cool. Wait for about 10 minutes before you start serving them. How to Clean a White Leather Purse?